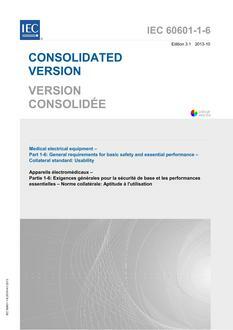 Specifies requirements for the process by which a programmable electrical medical system is designed. Serves as the basis of requirements of Particular Standards, including serving as a guide to safety requirements for the purpose of reducing and managing risk. This standard covers requirement specification, architecture, detailed design and implementation software development, modification, verification and validation, marking and accompanying documents.